Missing teeth not only detract from your smile’s aesthetics, but can lead to bone loss in the jaw, called resorption. While traditional dental prosthetics help to alleviate bite and cosmetic issues, they do not preserve bone health and fail to provide the necessary long-term support for optimal oral health. At Avenue of Smiles, Dr. Yan Fisher provides dental implants in Simi Valley to help patients regain full bite function and preserve jaw structure. Contact us today to schedule your exam and consultation for implant treatment at Avenue of Smiles. Implant-supported restorations are second only to natural, healthy teeth. At Avenue of Smiles, we encourage the use of dental implants whenever possible for teeth replacement. These restorations not only help prevent jawbone resorption, but have no negative effect on the neighboring healthy teeth. 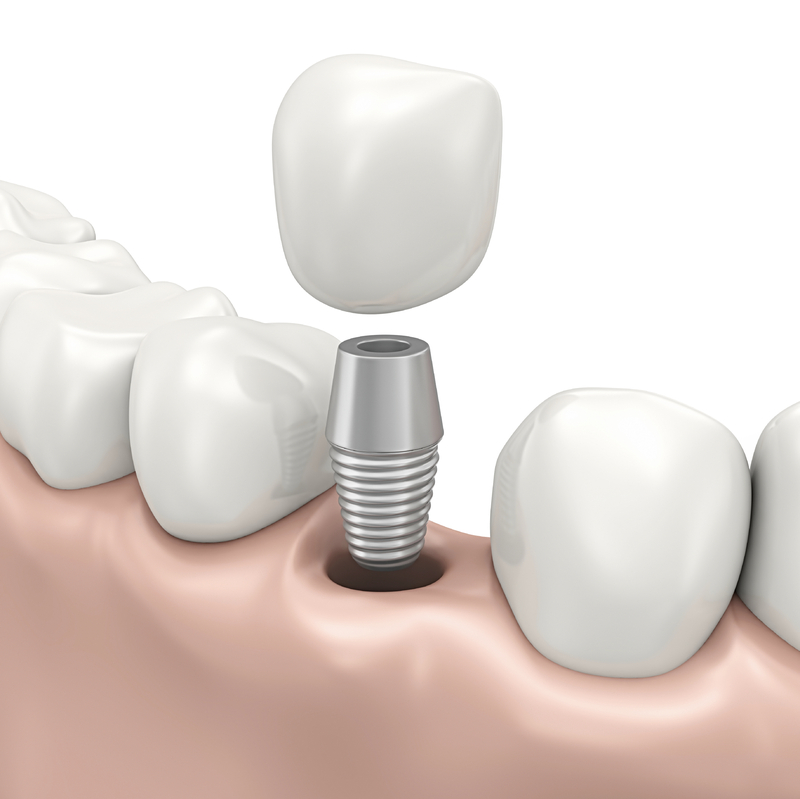 Dental implants are made from biocompatible titanium, which fuses to the bone after they are placed by Dr. Fisher. This process occurs over a matter of months, during which time, aesthetic restorations are fabricated. Once the implant is fully integrated into the bone, we place your permanent prosthetic, allowing you to enjoy your newly completed smile. Some patients interested in implants do not have sufficient bone structure to support successful placement and integration. For these individuals, Dr. Fisher places and restores mini implants. These implant posts are naturally smaller, and do not require the vertical bone depth for integration. If patients do not qualify for regular implants or mini implants, we help them to receive the necessary bone grafts, periodontal deep cleanings, or whatever other treatments are necessary to create the right environment for implant treatment. Crowns: Single, all-porcelain crowns can be used to replace individual missing teeth. These crowns are matched to the shade of the neighboring teeth, and look and feel entirely natural. Implant-supported crowns can also be cleaned by brushing and flossing, as with healthy teeth. Bridges: Implant-supported bridges are attached by two or more dental implants and can also be shade matched. Patients enjoy of the improved bite balance from these retained bridges. Dentures: Whole and partial dentures can also be held in place by implants. These restorations completely rehabilitate the smile and can either be removable, or retained by screws. Dr. Fisher and our team are eager to help our patients achieve the smiles of their dreams. Contact Avenue of Smiles today, where we provide patients with implant-supported dental restorations in Simi Valley.